Normally colors have a story to tell and a message of their own making. But that’s not what green is all about. Instead of dictating, our flat green shoelaces leave room for you to put your own stamp on things. These laces may be green, but they’re also neutral; a blank canvas. A genuine color for genuine people. When we put our heads together and think about all the things associated with green, one theme springs to mind: Optimism. So we’re going to go with that. Green laces help you put one foot in front of the other. They symbolize progress, moving forward and positivity. 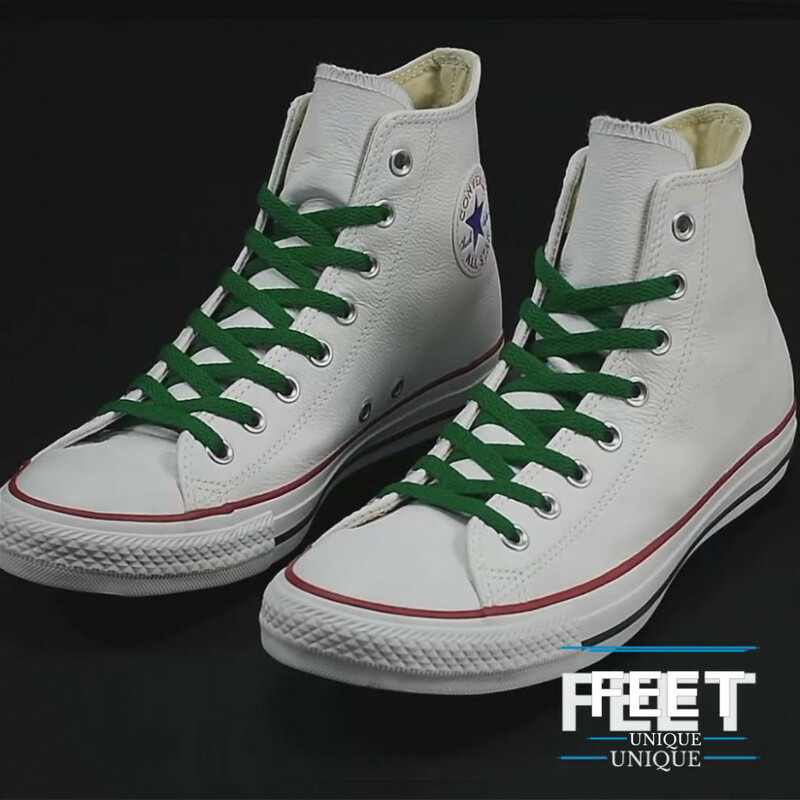 The wearer of green laces is focused on the future, because green doesn’t look back. Try our Flat Green Shoelaces with shades of red, brown, gray or white. For just $3.99 they’ll radiate positivity, charisma and humour, one step at a time.